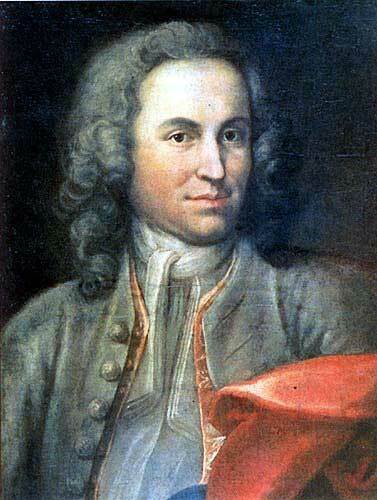 Johann Sebastien Bach (1685-1750) is very likely the greatest composer to ever have lived. He wrote the Prelude in C as the opening piece of his monumental work: The Well-Tempered Clavier (or Das Wohltemperierte Klavier). There are two volumes of the The Well-Tempered Clavier. The Prelude in C is from the first volume which was published in 1722. The second volume appeared in 1742. In the nearly four centuries since Book One of the Well-Tempered Clavier was written countless piano players have at the same time enjoyed and struggled to master these difficult keyboard pieces. Since the piano was not invented until near the end of his life, the Clavier that Bach had in mind was either the harpsichord or a clavichord (a smaller, private version of the harpsichord). With the development of the piano after Bach’s death during the second half of the 18th Century, the harpsichord quickly came to be considered “old fashioned.” With the piano becoming the primary keyboard instrument, Bach’s music was naturally adapted for it. The Bach Prelude in C is an excellent choice when you are looking for a quiet, meditative piece. It works well as part of the Prelude selections played before your Wedding Ceremony or to accompany a unity ceremony during the Wedding Ceremony. This entry was posted on February 27, 2014 and tagged classical music, Harpsichord, J.S. Bach, piano, Prelude, Wedding, Weddings. Bookmark the permalink.